One of the advantages of choosing a Wedding Celebrant to conduct your ceremony is that your choice of venue is limitless. The world is your oyster. You can let your imagination soar and find that perfect place which incorporates your unique personalities and interests, and reflects who you are as a couple. Sophie and Chris have much in common. 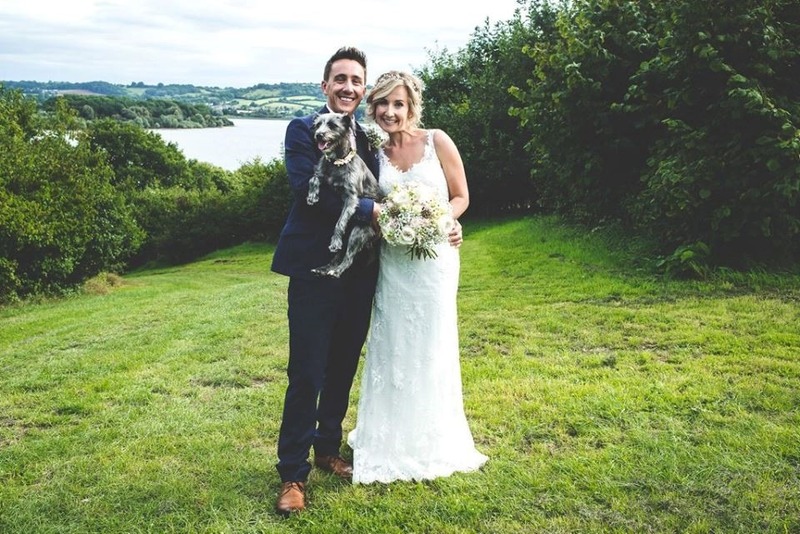 They both love the South West of England and taking their dog Macie for long walks in the beautiful surrounding countryside. They love music and festivals and spending time with friends. They wanted a relaxed, informal wedding weekend and their choice of venue gave them all these things. 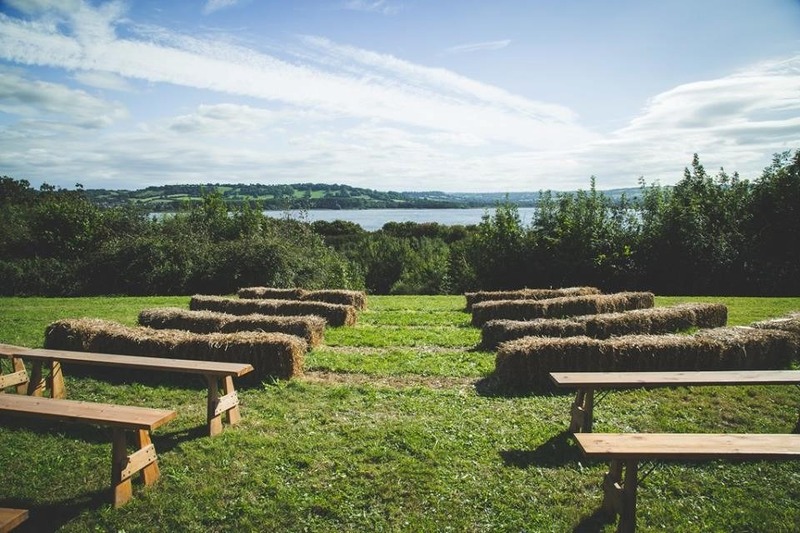 The venue tipievents.co.uk is set in an unforgettable and spectacular 35-acre site, overlooking Chew Valley Lake, near Chew Magna, South Bristol. We had the site for the whole weekend and all our guests were welcome to stay overnight in camper vans or tents. It was a dog friendly venue, and so Macie, dressed in her pretty rosebud collar was able to attend, along with a couple of her other doggie friends, and there was plenty of room for them to dash about and play. 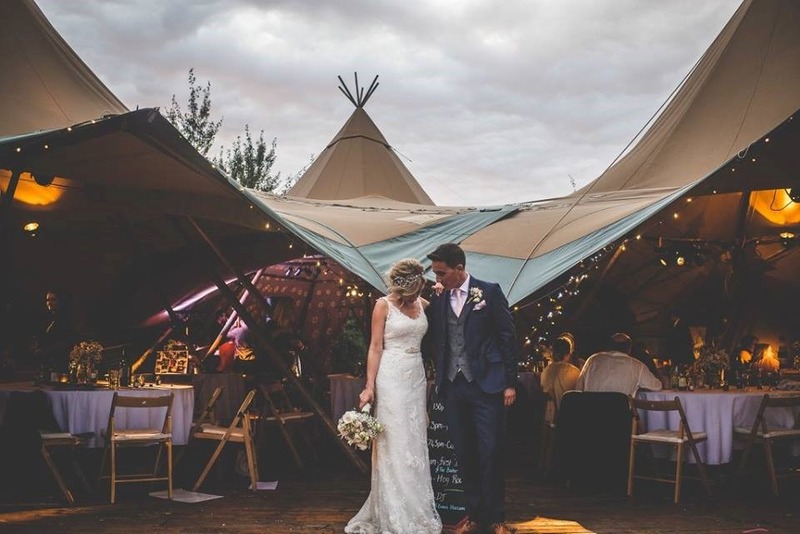 The tipis are not only beautiful, strong and completely waterproof, they are also extremely versatile structures. 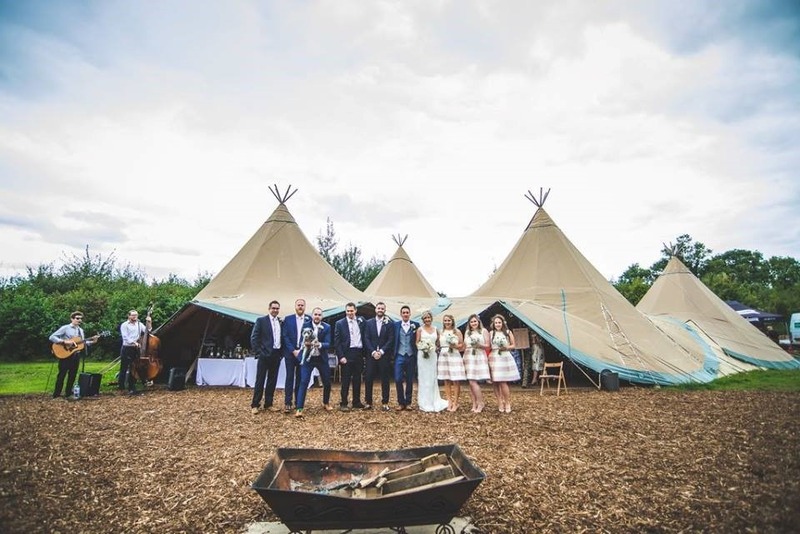 Any number of tipis can be joined together in various ways to create an extraordinary, seamless and watertight area to suit your requirements. 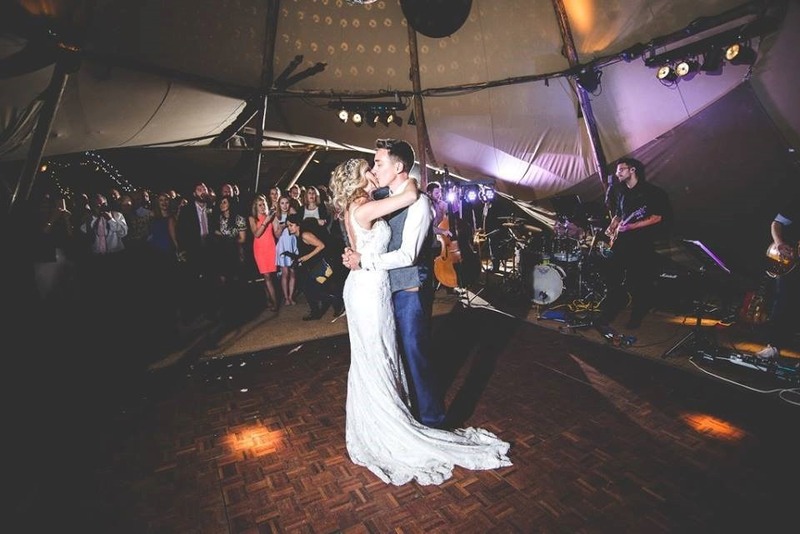 We had four tipis joined together – one area was laid with tables and chairs for the wedding breakfast, another was the dance floor, complete with glitter ball, and the third area was a chill-out space with comfy cushions scattered around a fire pit, where marshmallows could be toasted. Being able to camp overnight meant that everyone could relax and enjoy a drink or two, without worrying about driving or taxis. Many of the guests stayed up quite late, quietly listening to music and chatting around the warmth of the fire pit. And in the morning, after the wedding, they were able to stroll up from their tents, caravans and campervans for bacon butties and cups of tea. This really helped to create the relaxed festival atmosphere that was so important to Sophie and Chris for their Wedding Ceremony. It also meant that friends and relations who hadn’t seen each other for a long time were really able to have a good catch up. As celebrant, I will perform your ceremony in the venue of your choice. You may have a place that is special to you, or need help in deciding and choosing. I can help and advise with that, and will contact and visit the venue. In next week’s post, I will share with you Sophie and Chris’s choice of caterers and look at the important part food and refreshments played in shaping and creating their unique and wonderful wedding weekend. All pictures are reproduced with kind permission from JoJo Taplin, stealthedayphotography.co.uk.